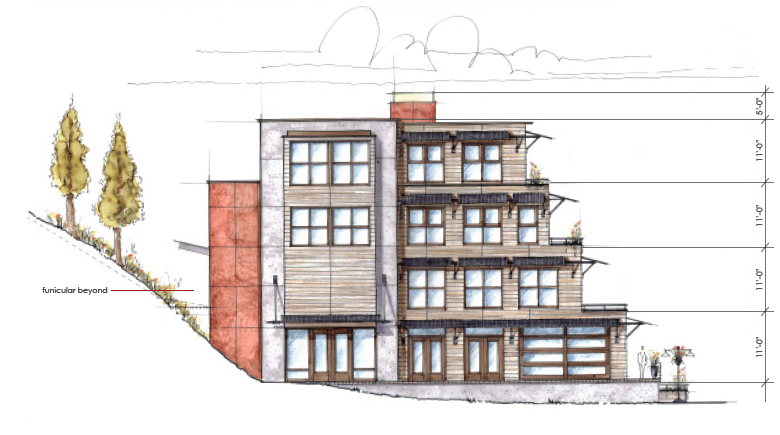 The design review board will meet next Thursday at 6:30pm (1/19/12) to provide early design guidance for the redevelopment proposal at 203 Wharf Street, otherwise known as Drake’s Landing. 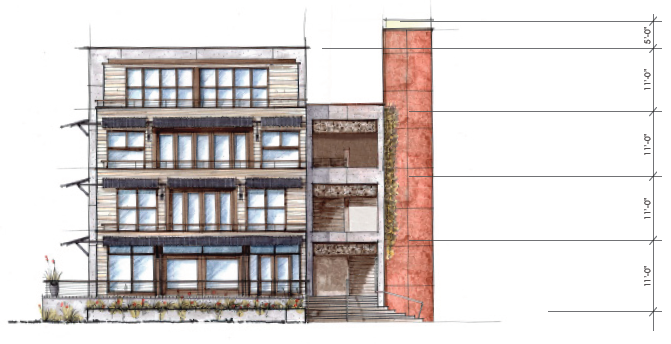 The current proposal is for a four story mixed-use building with retail/commercial on the first and second floors with residences on the third and fourth floors. The plan includes a landing for a funicular (elevated railway) to connect Cascade Avenue with the Marina. 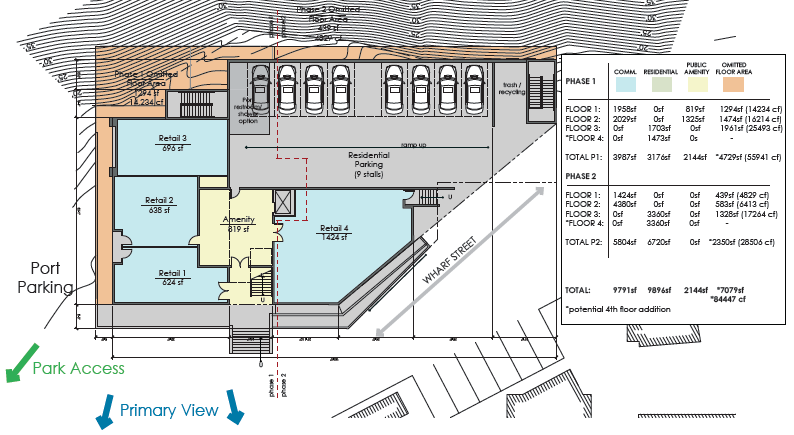 The second floor adjacent to the funicular will include a public corridor and viewing area with an elevator and stairs to the first floor. The city is pursuing funding opportunities for the funicular, which will be discussed at the city council meeting on Tuesday January 17, 2012. If you have questions or comments please use the form below. Please remember that comments go directly to the planning department and will not be posted directly on the blog. However, these comments will become part of the public record. Have a great holiday weekend!